Out of the Light and Into the Darkness: Managing the Impacts of Artificial Light on Sea Turtles - Turtle Time, Inc. 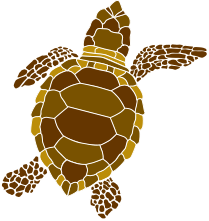 It is sea turtle nesting season, the time when threatened and endangered sea turtles come ashore to nest to ensure future generations of their species. Lights act like magnets to turtles! Watch and learn how you can help them to survive.